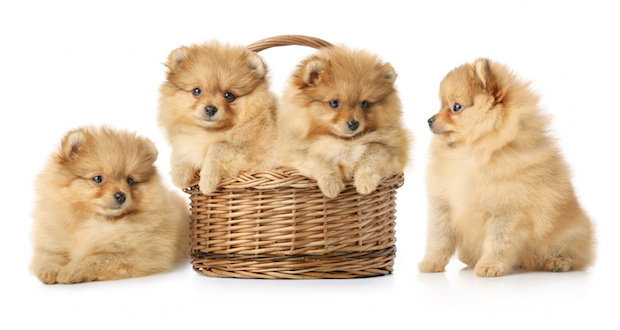 As the smallest member of the Spitz family, he is also related to the Chow, American Eskimo, and the Keeshond. These precious little pups are known for having an expression that is foxlike with a personality that is outgoing and alert. They are available in many colors and patterns with a dense double coat and a curled tail. Generally, they weigh in somewhere between 3 to 7 pounds, but if their diet is not properly monitored they can get bigger.